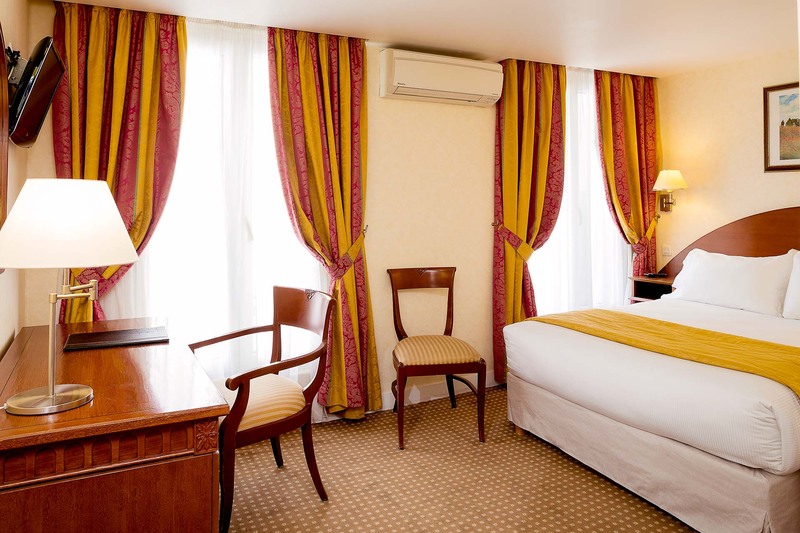 A charming hotel in Paris Opéra neighbourhood, Hotel Impérial offers a wide range of rooms which cater to all sorts of needs. Guests travelling alone on business can book a quiet, comfortable single room. 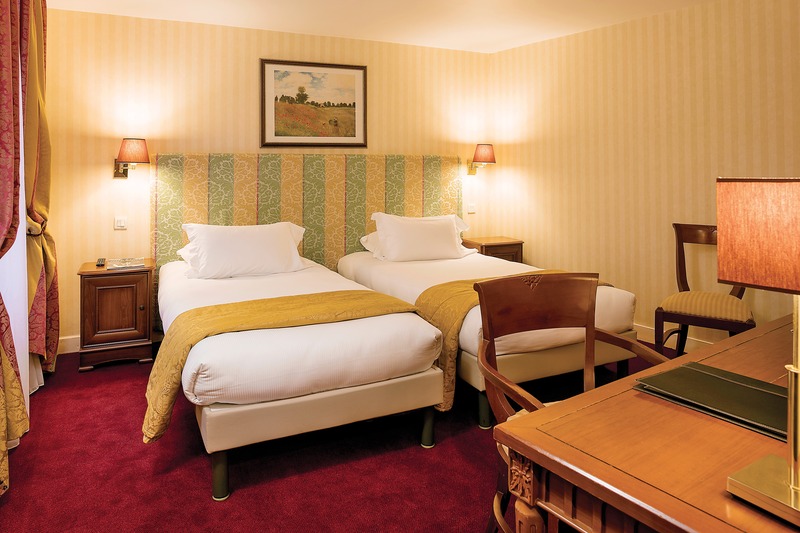 Twin or double rooms are ideal for couples or guests travelling in a pair on holiday or on business. If you require more beds, triple and quadruple rooms are also available. These are perfect for groups or families looking to share the same space in the evenings, for great times together. These, bright, comfortable rooms for one are perfect for a holiday or a business stay. They come with a little desk and a bathroom with shower. These cosy rooms for two are perfect for getting a good night’s sleep at the heart of Paris. They come with a desk and a bathroom with bath shower. 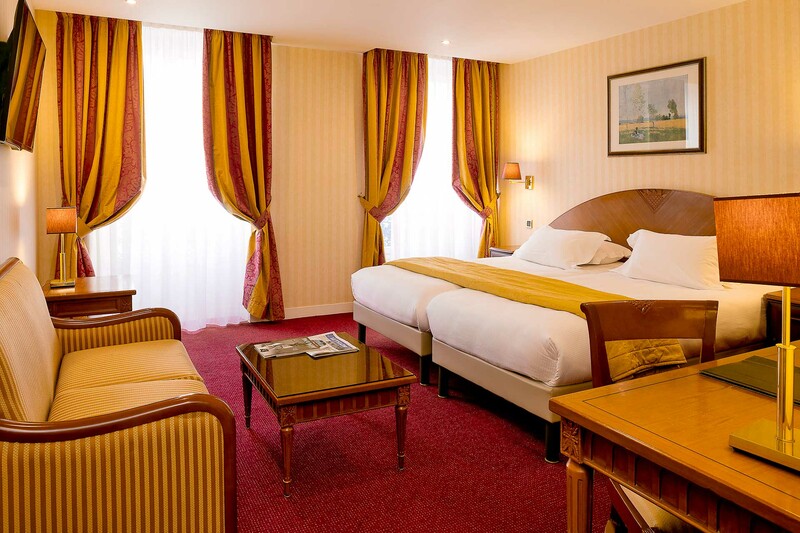 These spacious, comfortable rooms are perfect for a romantic stay in the French capital. They come with a desk, a small lounge area and a bathroom with bath tub. 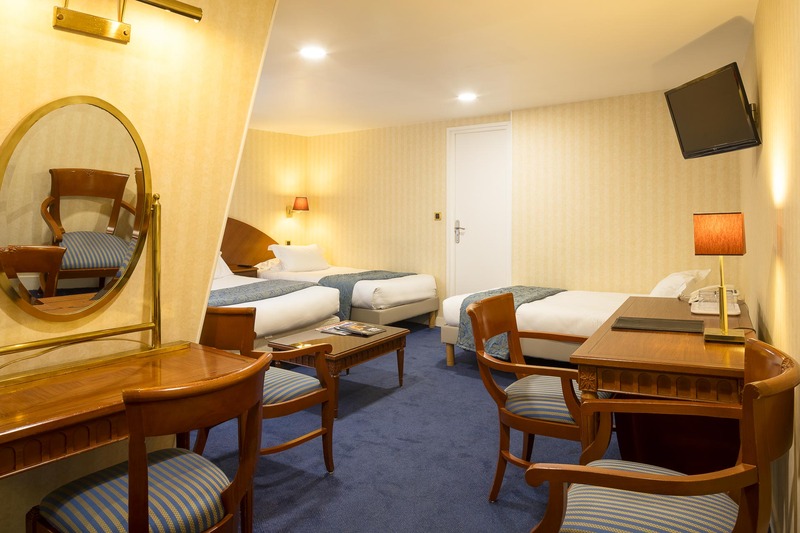 These rooms with twin beds are perfect for a holiday or a business trip to the centre of Paris. They come with a desk and a bathroom with shower. 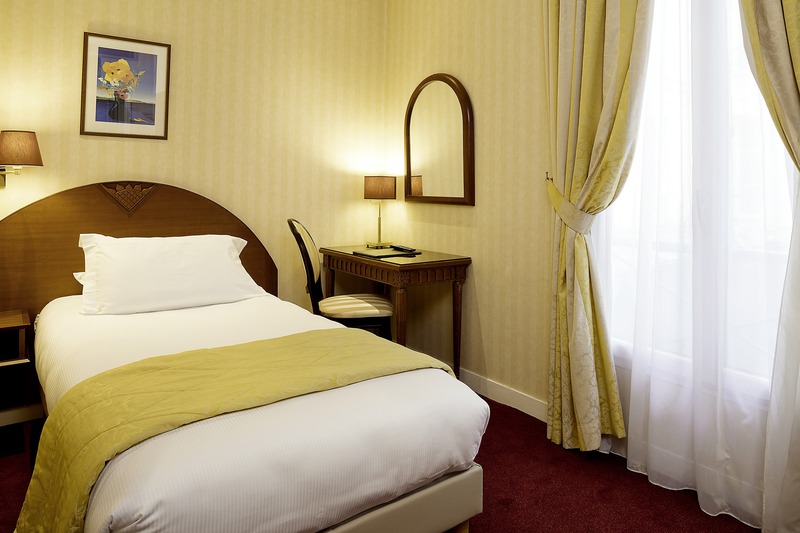 These spacious rooms with twin beds are the perfect pied-a-terre for a stay in the centre of Paris. They come with a desk, a small lounge area and a bathroom with bath tub. 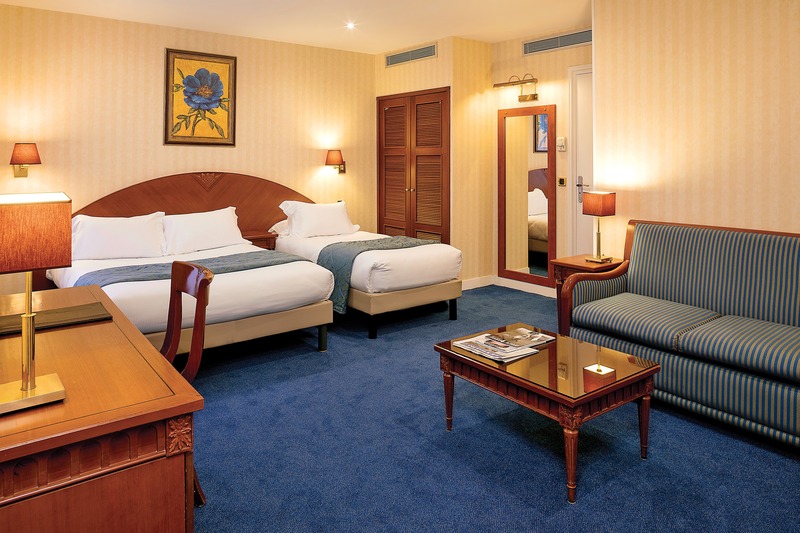 These spacious rooms sleep up three guests, for a comfortable stay at the heart of the French capital. They come with a desk, a small lounge area and a bathroom with bath tub. 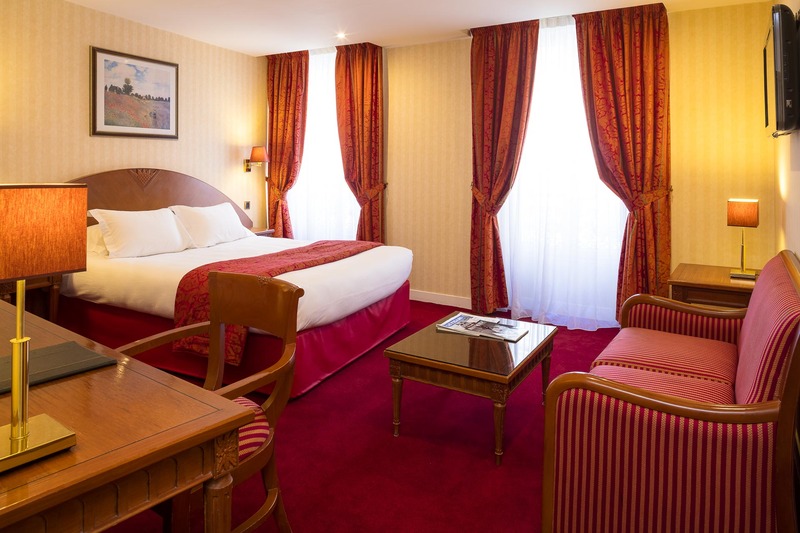 These spacious rooms can accommodate 4 guests and are ideal for an enjoyable stay with family or friends in Paris. They come with a desk, a small lounge area and a bathroom with bath tub.